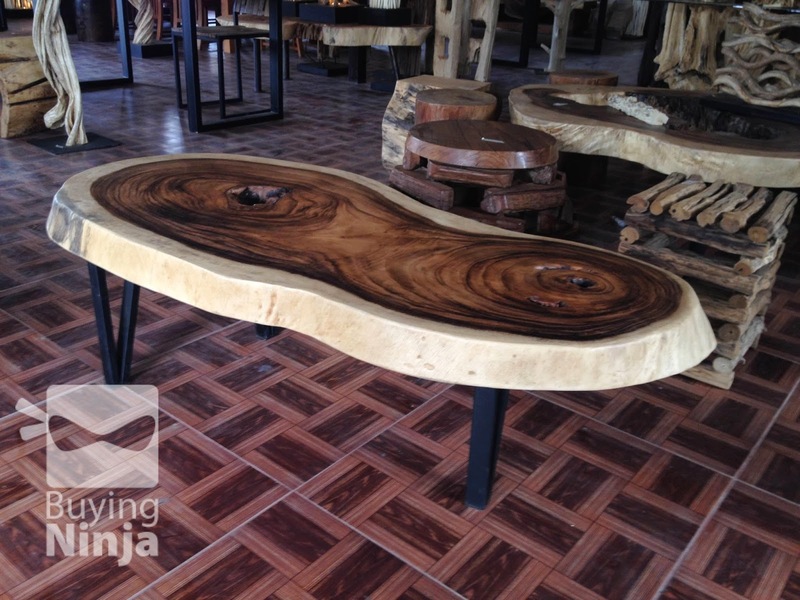 When we first saw this table, we fell in love. The beauty of solid wood table top combined with dark-colored steel legs surely fit into any living room, balcony, or in any commercial cafe. The idea is simple: combining two oldest material known to men. We try to sit around and put our coffee mugs on it. The table feels solid (well, it is very solid), stable, and natural. WIth about 15 cm table top thickness, 40 cm height, it goes well with low chair or sofa. A question we asked the craftsmen about the finishing color and sanding. They do not put too much and use natural varnish. As with the size, it is extremely hard for them to find the exactly the same size, same shape and measurement pieces of wood - since it is made by nature and crafted by skilled craftsmen. Hope this can become your home decor and furniture inspiration.